This study assesses the performance of 22 Coupled Model Intercomparison Project Phase 5 (CMIP5) historical simulations of rainfall over East Africa (EA) against reanalyzed datasets during 1951–2005. The datasets were sourced from Global Precipitation Climatology Centre (GPCC) and Climate Research Unit (CRU). The metrics used to rank CMIP5 Global Circulation Models (GCMs) based on their performance in reproducing the observed rainfall include correlation coefficient, standard deviation, bias, percentage bias, root mean square error, and trend. Performances of individual models vary widely. The overall performance of the models over EA is generally low. The models reproduce the observed bimodal rainfall over EA. However, majority of them overestimate and underestimate the October–December (OND) and March–May (MAM) rainfall, respectively. The monthly (inter-annual) correlation between model and reanalyzed is high (low). More than a third of the models show a positive bias of the annual rainfall. High standard deviation in rainfall is recorded in the Lake Victoria Basin, central Kenya, and eastern Tanzania. A number of models reproduce the spatial standard deviation of rainfall during MAM season as compared to OND. The top eight models that produce rainfall over EA relatively well are as follows: CanESM2, CESM1-CAM5, CMCC-CESM, CNRM-CM5, CSIRO-Mk3-6-0, EC-EARTH, INMCM4, and MICROC5. Although these results form a fairly good basis for selection of GCMs for carrying out climate projections and downscaling over EA, it is evident that there is still need for critical improvement in rainfall-related processes in the models assessed. Therefore, climate users are advised to use the projections of rainfall from CMIP5 models over EA cautiously when making decisions on adaptation to or mitigation of climate change. The authors express their appreciation to the host institution; Nanjing University of Information Science and Technology (NUIST). Special appreciations go to Climate Research Unit (CRU) and Global Precipitation Climatology Centre (GPCC) for availing data used in this study. 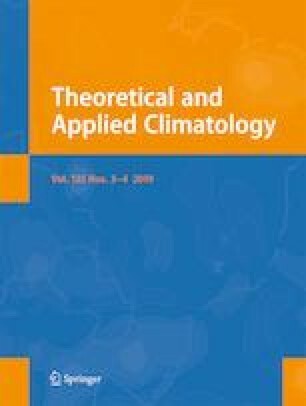 The authors are grateful to the Program on Climate Model Diagnosis and Intercomparison (PCMDI) and the various climate modeling centers for producing and making available their model outputs. The first author is indebted to Chinese Scholarship Council (CSC) for sponsoring his study and stay in China. Lastly, the authors thank the Editor and anonymous reviewer(s) for helping in improving the quality of this paper.